If you bought a computer with SSD and Windows is installed on it, you should not have any problems using it. Windows installer will automatically align partitions properly. However, if you have moved your existing Windows OS from a regular HDD to an SDD, it may not be done automatically and may cause certain issues. The problem occurs because, with a traditional HDD, the first partition starts at 63 blocks, whereas with an SSD, partition starts at 64 blocks. This misalignment creates issues and results in slower performance. Luckily, there is a way to know if the partitions are not properly aligned. To do so, please follow the steps below. Press Windows key + R on your keyboard to open Run. Then type msinfo32 and hit Enter. In the left menu, identify your SSD and look for the field ‘Partition Starting Offset’ and note the value there. Then divide it by 4096 and check if it is divisible. If the resulting number is a whole number (not a decimal) then your partitions are properly aligned. If the number is a decimal, your partitions are misaligned. If the partitions are misaligned, there are some ways to correct the issue. To fix misaligned partitions, you can either reinstall Windows entirely or use third-party partitioning tools. There are tools like Gparted available for free. But if you want to reinstall Windows, read on to learn more. Also, make a backup of all data before you begin the reinstallation process. If you have the Windows installation disk, you can directly jump to the steps below. If not use the Microsoft’s media creation tool to create a bootable disc. During the installation process, the system will restart and this time, you can select to boot from the hard drive. Once the installation is complete, your desktop should open and the system should be up and running. 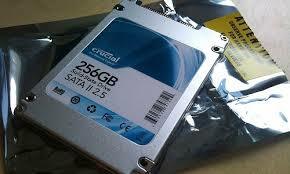 Other than these issues, sometimes you may encounter other issues with your SSD’s such as corruption or virus attacks. In such cases, formatting drives are a common solution. Formatting a drive erases all data on it, so having a backup is mandatory. However, if you have formatted an SSD and no backup is available, data recovery tools can be used and Remo Software is your best choice. It can recover partitions with data and structure intact after formatting. If you want to learn more about the steps involved, refer recover formatted SSD. In addition to recovering data from formatted drives, you can also use it to recover data from corrupt, damaged or inaccessible partitions.